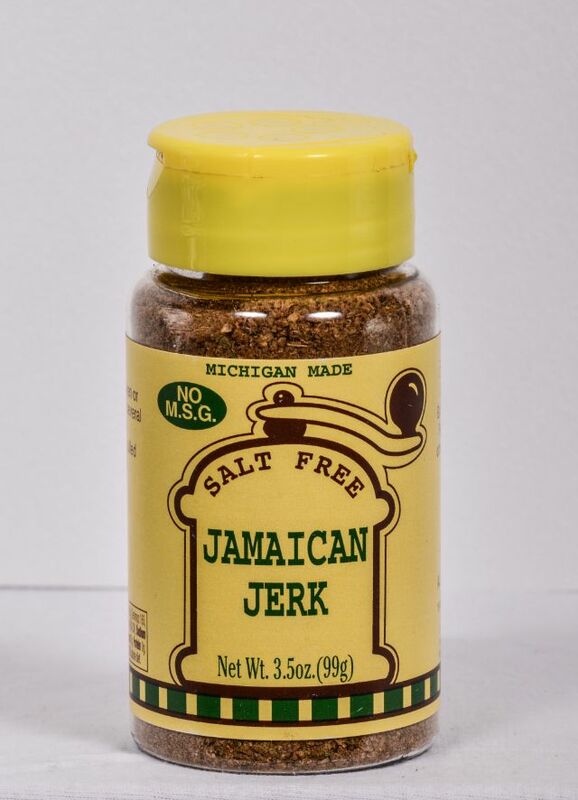 A great blend of spices to simmer your meat in and have an island jerk sandwich! Rub very generously on chicken or pork, marinade for several hours and cook as desired. Great for pulled chicken or pork. Coriander, Onion, Garlic, Allspice, Ginger, Thyme, Black Pepper, Sugar, and other Herbs & Spices.